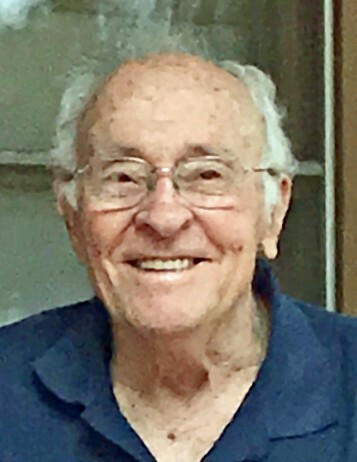 Ervin Dempsey “Demp” Jenks passed away at home peacefully with his family by his side on Sunday, February 3, 2019. Demp was born on February 26, 1931 in Raleigh, North Carolina. He served in the U.S. Army during the Korean War from 1952-1954, leaving with the rank of corporal. Demp was preceded in death by his wife of 55 years, Bette Brown Jenks, brother Max Jenks and sister Margie King. He is survived by his sister Sylvia and husband, Kenneth Bigham, brother Hubert and wife Polly Jenks., his son Ronald and wife Pat Jenks, daughter Denise Jenks and daughter Debbie and her husband Doug Byrne. He has five grandchildren, Hunter and wife, Betsy Jenks, Grey and wife, Katie Young, Parker Jenks, Melissa and husband, Michael Phillips and Taylor Jenks. Demp also has three great-grandchildren, Ava Jenks, Claire Jenks and Gunner Phillips, nephews Arnie Jenks, Kort Brown and niece Nicole Moore. Services will be held this Thursday, February 7th at Falls Baptist Church with visitation and viewing at 1:00 p.m., funeral service at 2:00 p.m., followed by burial at Falls Cemetery. In lieu of flowers the family request that donations be made in Demp’s honor to Saving Grace Animal Adoption at 13400 Old Creedmoor Road, Wake Forest, NC 27587.